I love getting cards in the mail, from my friends especially because they always pick out the best cards. So this year, for Valentine’s Day, I’m hoping to return the favor. There are roughly two weeks left before V-Day rolls around (even less than that for Galentine’s Day which is on the 13th – you know that if you watch Parks and Rec). So, I’m crossing my fingers that I can get some V-Day snail mail out to my friends on time (for once). 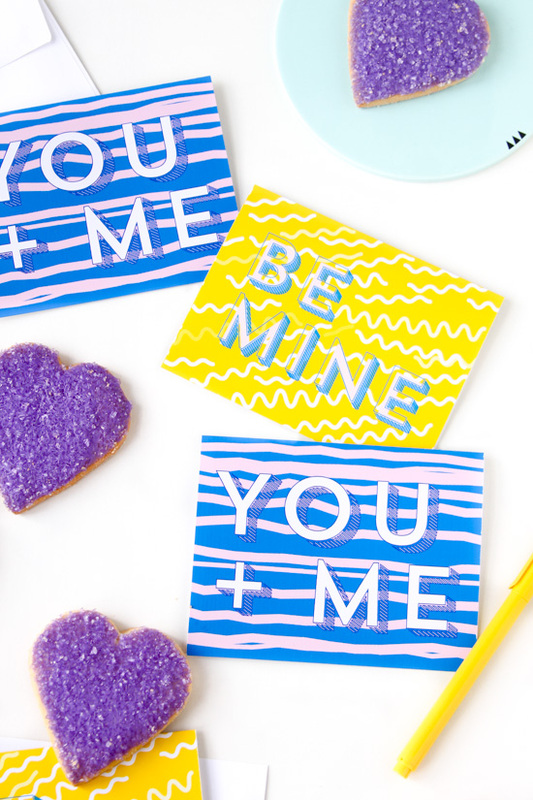 To help me get the V-Day cards rolling ASAP, I’ve partnered with Avery to create some V-Day printables that I can use right away. Aaand because I thought you might like to use these for your friends this year too, I have the printable / free download available for you at the bottom of this post. I kept the phrases and designs simple, so they can be sent to as many people on your V-Day list as possible. For friends and significant others too! 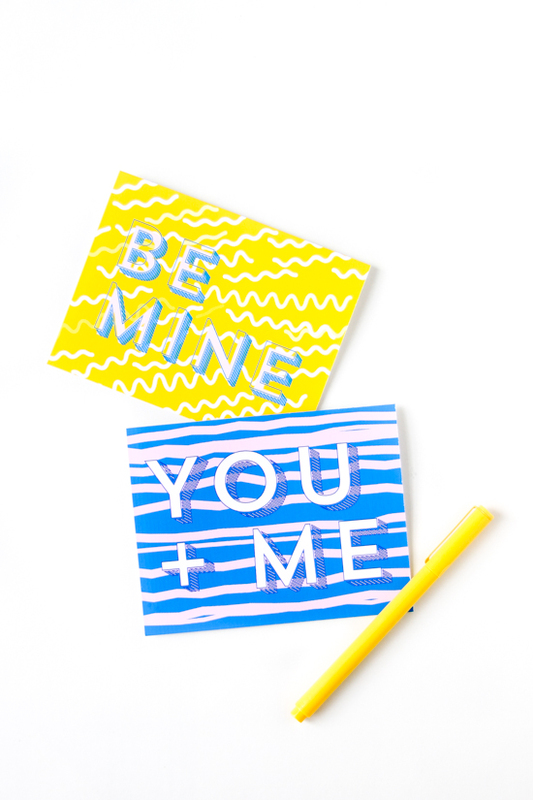 I was also thinking that the BE MINE cards would be cool for kids to share with classmates for the holiday. As usual, I went with a non-traditional color scheme. Because that’s just how I operate at this point, apparently. But I also incorporated some playful patterns this time to amp things up. 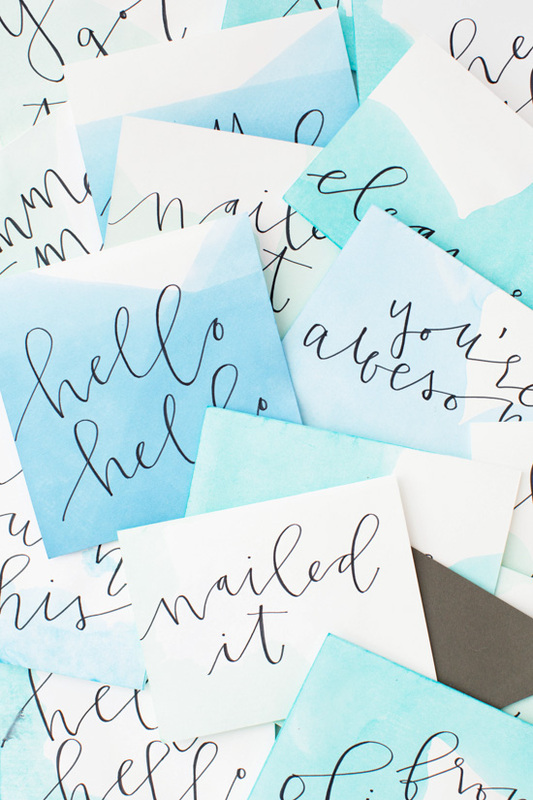 To make these with your home printer, you’ll just need to print ’em out on Avery note card paper, add your note, put a stamp on it, and boom! Done. 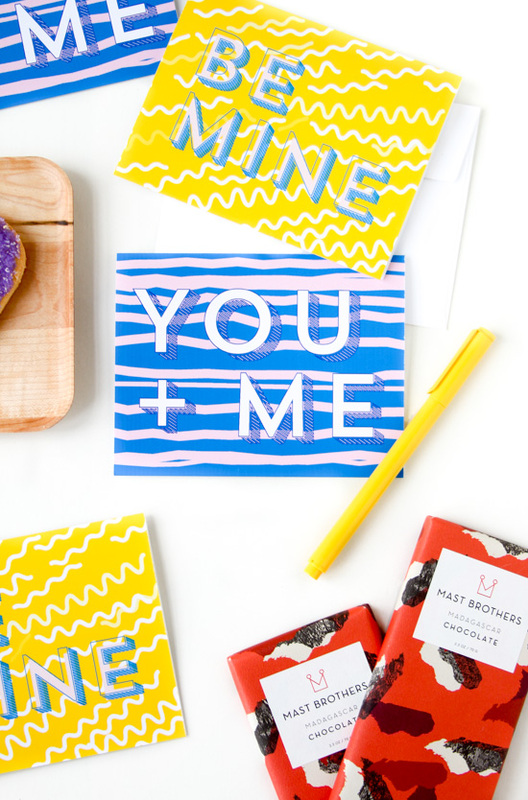 You can pair the card with a little gift (chocolate anyone?!) 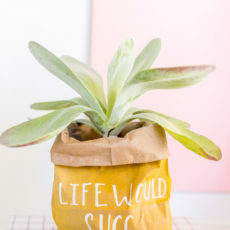 or just send it on its own with good vibes and a sweet note. 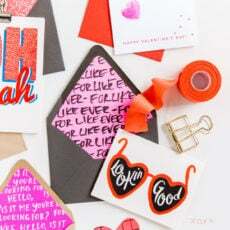 Are you planning to send out any V-Day snail mail this year? This post is in partnership with Avery. Thank you for supporting the brands that make this site possible. That yellow pattern is awesome! 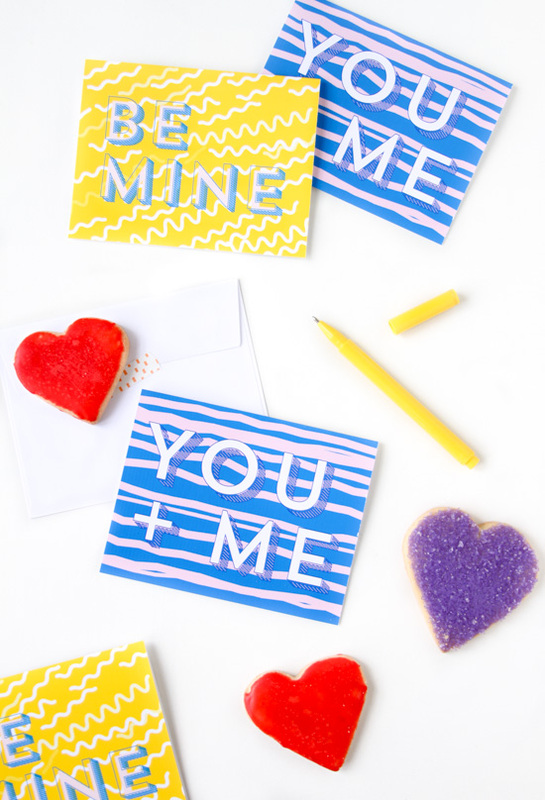 I definitely want to send some v-day snail mail to my friends this year! THANK YOU for these fabulous cards! 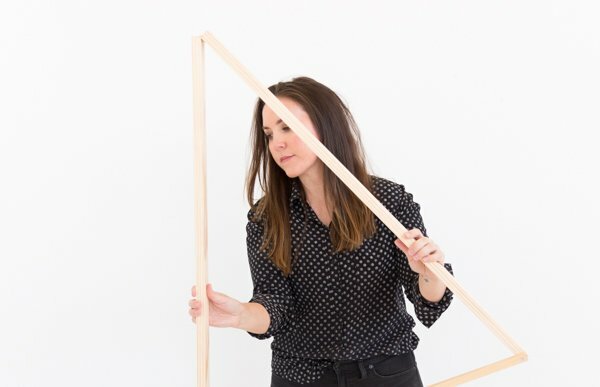 … An excellent reason to tell you your work is great, and i love it! Aw, thanks Juliette. 🙂 I appreciate that.